Oslo's food courts, food halls and markets provide a tempting proposition for event planners. Paleet: The shopping centre Paleet reopened in September, having been closed for almost eighteen months, with the addition of a Food Court, located downstairs. Paleet Restaurants has taken the concept of the food court one step further, creating a gourmet-style experience, offering Asian, Mediterranean and traditional British pub food. The venue is suited to parties for up to 300 people. Steen & Strom’s Magasin: The food court opened in November in the Steen & Strom department store. There are several eateries to choose from, specialising in pies, soups and Asian cuisine. 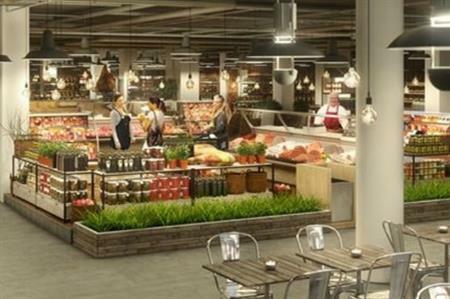 Ostbanehallen: Slated to open in the first quarter of 2015, the food court and food hall will offer a gastropub, sushi and Italian cuisine, alongside several specialty shops. Mathallen Oslo: This food hall is located on the old industrial site Vulkan, and opened its doors in autumn 2012. The upper floor has space available for cooking courses, conferences and events.